You are here: Home / Career / Can you successfully change career before 40? Being in my late 30s, I’m at that stage in my life where I’m wondering if you can successfully change career before 40. I recently made a speculative application with my current employer. I knew I didn’t have the necessary qualification they were after but knew I could do the job given half a chance. Knowing I wasn’t going to get it I was intrigued about what feedback I might get. Unsurprisingly one of the reasons my application was rejected was my lack of qualification, but this was not the first reason they quoted for not getting past the shortlist process. Frustratingly, the main reason I didn’t get shortlisted for the interview was my lack of experience. This is something that clearly many people find themselves in, regardless of age and whether they are just stepping foot into the world of work or like me working for an employer where opportunities a thin on the ground. How are you supposed to get experience when no one is willing to take a punt based on your transferable skills gained in the job that you are doing? In this instance, it seems that the job advert might have been geared towards hiring someone who was already employed in the team advertising the role. I’m not yet in my 40s, so wouldn’t consider myself over the hill by any stretch of the imagination and would feel the same if I was probably in my 50s or 60s, but it’s clear that my skills aren’t going to be utilised and rewarded as such by my current employer. Making a decision to move on is never going to be an easy one, regardless of your age, but in doing so you are making the decision to take back control of your life, who wants to spend their working day, unhappy and unfulfilled? Certainly not me. My own decision is not only about finances but also the feeling that there has to be more to life than what I’m currently doing. While it might be easy to fool yourself into thinking that changing career is going to be easy, as you get older it’s only going to get harder. This might be a pessimistic view that goes against the grain of all those websites that tell you that you have an abundance of skills that you can transfer into a new role, but unfortunately, your skills are only just a part of the transition. In deciding what you want to do, you have to also remember that you will be not only facing competition from those that already have the skills to do the job but also those school and university graduates that are eager to get their foot in the door. So should this put you off? Yes, the competition for jobs is tough, but if you believe that you have the necessary skills to do an advertised job, why not put in your application, you never know. The person reading it might just see something that they believe is a perfect fit for the role. I did a post on why I’m learning to code and while I enjoyed the process, I had to take stock of the real reason I might have decided to learn to code and decide whether this is something that I could foresee myself doing for the rest of my life? You too have to ask the same question. 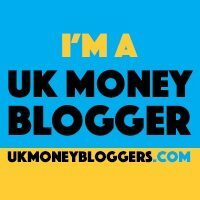 It’s easy to think that you need to do something because it pays a lot but, as strange it is for me to say, being a financial blogger there has to be more to what you are doing than money. You are at work for a large proportion of your life and doing something that you don’t really enjoy is only going to make getting out of bed on that cold Monday morning a drag, trust me. If you don’t truly understand your skills and how they are going to help an employer, how is someone reading an application going too either? I know that my current skill set would benefit my employer if used appropriately as they have already in my current role, though sometimes this isn’t enough. Us Brits are awful at blowing our own trumpets and should take a page out of our American cousins’ enthusiasm for celebrating what we can do and make sure that those that need to know about our skills most definitely do. I took on more responsibility in my current role by taking on the management of staff and have to give advice to people that are paid substantially more than me, so I don’t think that I’m being paid what I’m worth, which is at odds with my employer, because they obviously do. If you also find yourself in this position, you should use this as ammunition to actually show those that aren’t appreciative of your skills that maybe another department within your business or even another employer would be. Having your CV tucked away in some folder on your computer for years while you go about your business, isn’t going to get you where you need to be. When you’ve done something that you’re proud of, jot it down. You can format it later but at least it’s there as a reminder when you feel it is time to move on. You’d be surprised how much you actually do and give to your employer without gratitude. You might have to send hundreds of CVs, you might have to do some networking or voluntary work it doesn’t matter. As I’ve already said it only takes that one person to see your potential. And if you get that interview, it’s your time to shine. Even when you have done all the above. You will no doubt still be me met with opposition whether that be from your current employer or potential future employers. If this is the case all is not lost there are still options available. If no one is prepared to hire you, doing what you want to do, hire yourself. Self-employment can be daunting but if you put in the work can certainly pay off. So long as you have a good internet connection and what you want to do isn’t reliant on specific times of availability you might also be able to start something part time. Many employers pay lip service to investing in people, but when push comes to shove do they really want to put money aside for employee development, in doing so they might actually have to pay you more or you might use what you have learned to move on to bigger and better things. I sometimes think that employers are only interested in being able to show that they have the investors in people logo on their letterhead believing that it makes them stand out as an employer. Be ready to pay a little to invest in yourself. I spent over £3k of my money taking a part-time HND in Business Management part time and if necessary might spend even more improving myself. So after my rant, do I still believe that a career change is possible before 40? Being knocked back once is certainly no reason to give up hope, I’m a believer that some things happen for a reason and maybe there is a reason for not getting the job that you had hoped for. What we want from life changes all the time and what might seem like an appropriate change now might not be for you later on as your circumstances change.